myDevices, an IoT solutions company, develops end-to-end platforms and applications for the Internet of Things that simplify the connected world. myDevices products empower engineers and enterprise partners to easily and quickly deploy IoT prototypes and complete IoT solutions into their existing infrastructure and business. The platform is device and connectivity agnostic. 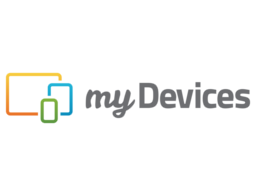 myDevices is the creator of Cayenne, the world’s first drag-and-drop IoT Project Builder, which enables customers to bring their IoT projects from prototype to mass production.